The latest addition to the premium SJCAM action camera enclave, the SJ6 Legend, has now gone on pre-sell on the official SJCAM store. The SJ6 legend should shop out late October. This date is right around the corner and supply will be extremely limited so place your pre-order today. All pre-orders will have a free gift from SJCAM included with the SJ6 shipment. – 2.4ghz Wireless Remote supported. Again, there are many more features not listed above. Subscribe to the SJCAM blog as we will be going more into depth regarding SJ6 Legend features, showing more photos, filming SJCAM footage and doing more reviews and tutorials. Why SJCAM? Why Order from the SJCAM Official Store? – Frequent firmware updates which add value to your SJCAM throughout the lifetime of your SJCAM. 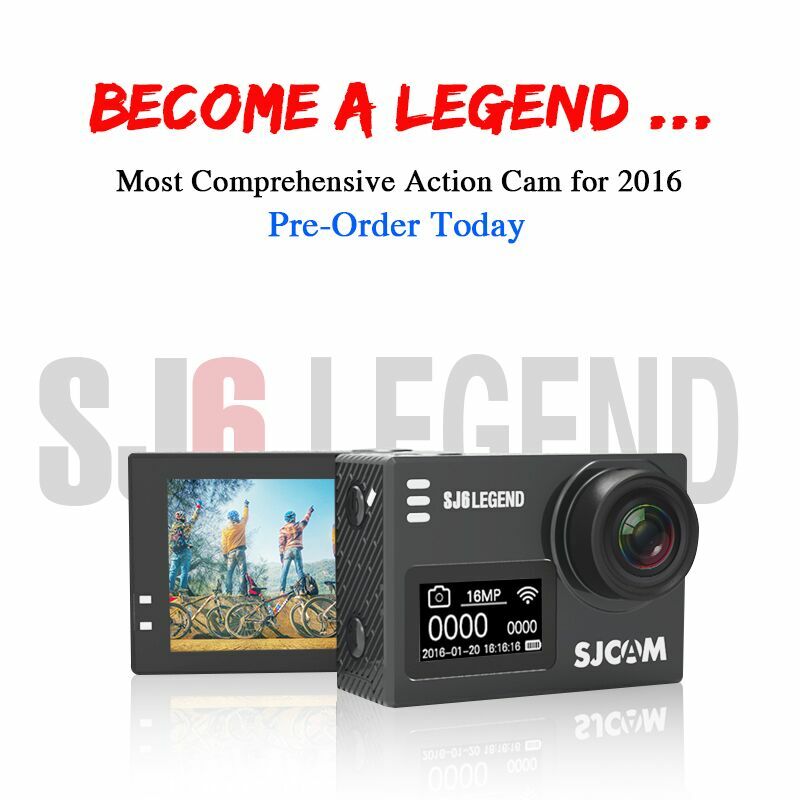 Become a Legend – Pre-order the SJ6 Legend!